While the Confederate flag is a potent symbol, an equally important way to express community values is to seek respect and understanding as a city or state decides what to do about local memorials and displays of the Confederate flag at government institutions. I have worked with many N.C. local government leaders to address difficult issues on the environment, land use, public safety and community planning. For example, from 1998-2006 I facilitated United Methodist Church groups across the U.S. as they struggled to stay together despite their differences on whether to ordain gay and lesbian ministers or to hold gay weddings in their churches. It is unlikely that everyone in a community will be satisfied with any particular outcome about flag display or memorials. But seeking understanding amidst differences is a way to grow individual and community character and strengthen the invisible glue that holds communities together. 1. Be sure to have input from different viewpoints as you plan the meeting or forum. Participants are more trusting when the announcement comes from people who share their views. Practicing diversity within the planning process increases the likelihood that people will see the gathering as open and fair. 2. Include small group conversations. Avoid the standard one-speaker-at-a-time model which often inflames the atmosphere. Aim for a “kitchen-table” style setting, where people talk and listen better by talking with rather than at one another. 3. Set some clear rules for respect. Listening without interrupting, and summarizing someone’s views before offering your thoughts are good first steps. Another rule is to ask genuine questions: not courtroom cross-examination style, but out of true curiosity. There will be a lot of “how can you believe that?” coming from a feeling of exasperation or anger. The key is to turn down the temperature and let everyone say what they believe – and where they are uncertain – without being attacked. 4. Try to get beyond either/or choices. Some people may only focus on removing or changing a particular flag display or memorial. Other steps could involve honoring community history not tied to war or Jim Crow discrimination, but to add memorials, markers, or celebrations which enhance the history of a community. 5. Avoid having a poll or using any group to represent the community as a whole. Separating the talk and deliberation about an emotional issue from the decision-making stage helps people focus on the substance rather than play to the audience or the board who controls the Confederate memorial or flag display. 6. Be clear about who will decide, and the timeline for a decision. As part of planning a forum or set of conversations, ensure the decision-makers can observe the conversation. Weighing in with their opinions is probably best saved for a later time. Fortunately, civic leaders can call on various resources to be sure that many voices are heard, and that people are respected in the conversation. Community mediation centers and the UNC-Chapel Hill School of Government have skilled facilitators. Local ministerial associations, and community relations commissions can be helpful, too. Flags are potent symbols of history and identity. N.C. leaders – in and out of government – have the opportunity to express community values and shared identity by how the hot feelings about Confederate memorials and flags bend – but do not break – the bonds of civility and neighborliness. Part of wise leadership is creating ways that draw people together ahead of a tough decision. Great information! This will be very useful as we continue our conversation with the community concerning the Market House. Great article John. Lot’s of common sense steps that seem to get lost in a lot of emotional debates. Hey John, this is a very helpful piece that i hope a lot of people will read as they begin to discuss and work through having confederate monuments and the flag in their communities. After reading your guidelines, my question is twofold: First, can emotion play a useful role in these kinds of proceedings? I understand what you say about separating the actual decision making from the emotional side of things, but aren’t emotions a part of us no matter what our outward behavior shows? For me, civility is often a marker of a particular class culture and can actually be disingenuous. How can we let our emotions out as a form of honesty and bringing our full selves to the conversation, especially on a topic as serious as the legacy of racism and white supremacy in our country? In other words, fully respecting ourselves and others would include space for emotions and would be wary of watchwords like “civility” that can end up silencing some voices. My second question is related to the first- what role does a notion of justice play in these conversations? 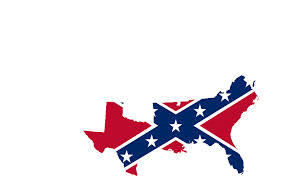 I often worry that when mediating between two sides of the flag debate that we err on the side of equating the two parties in that debate, which is unfair and dangerous in light of systemic racism and a history of active white supremacy tied to these symbols (something that “civility” has so long served to cover up). I don’t think an awareness of racial justice needs to lead to an either/or scenario for white southerners who want something/anything to be proud of, but If we don’t talk about racial inequality and injustice from the outset, then i think these conversations will be terribly uneven from the start. And this has been the problem all along. Tony – thanks for your good questions. Here are my best answers given this space and the premium on brevity. Emotions are essential, and they should not be squashed. Emotions are important for authenticity and identity for each person engaged on Confederate symbols and their meanings, “then and now.” Civility can be used asymmetrically by – wrongly – labelling someone showing strong emotion as uncivil. Dialogue when strong, deep and sometimes complex emotions are anticipated calls for very clear rules and subtle facilitation to have honest, emotional, “hard truths” spoken and to help people with acknowledging a contrasting view even as they find that view hurtful or blind to [X] key fact/truth. There is a fine line between expressing one’s deeply held truth about a certain symbol, and it being taken as a personal attack or negation of another view. 2. What role does a notion of justice play in these conversations? For purposes of my role in helping any NC community consider how to bring people together to discuss the range of issues and values tied to Confederate symbols, I’ll focus on the kernel of your point, I think: how can the forms of racism, understanding of history and its meaning for current conditions for (especially) African-American folks be respected and fully aired? Another dimension (you can decide if I’m equating them) can be: how can the history of Confederate soldiers and leaders, the meaning of the flag(s), statues and other symbols when created and as viewed today, be respected and fully aired? Respect is the slipperiest concept. One part is listening. Another part is probing values and the comparison of experiences and meanings of symbols. Beyond this, how disagreement is presented, and the mix of pain and pride felt through these symbols creates the powerful tension between authenticity, sympathy, and what respect means for keeping, changing or removing symbols in public spaces.